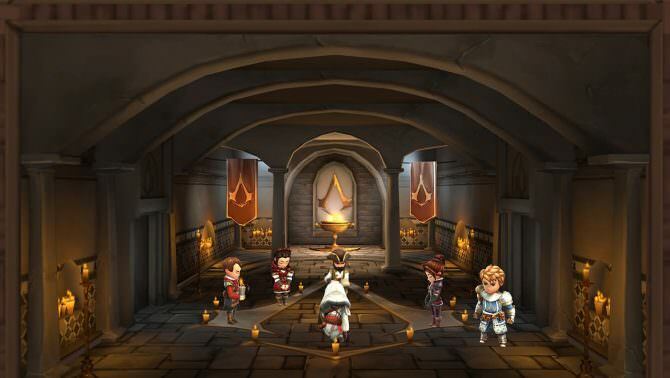 Those hoping to get more Assassin's Creed in their life can download Assassin's Creed Rebellion this November 21st for iOS and Android devices. This entry in Ubisoft's biggest franchise is set in 15th century Spain during the life of the notorious Ezio Auditore. Players will encounter other characters from Ezio's era such as Aguilar de Nerha, Maria, Shao Jun, Ishak Pasha, Machiavelli, Maria, Horacio de Heredia, and Claudia Auditore while trying to build more brotherhoods. Assassin's Creed Odyssey, the latest installment in the franchise, is now available for Xbox One, PS4, and PC.